Finally, a waterless cookware set that does it all. Now you'll have the perfect pan for any cooking job and the right accessories to help you prepare your meals just like a professional chef. This set is constructed of heavy gauge 304 surgical stainless steel and guaranteed to last a lifetime. 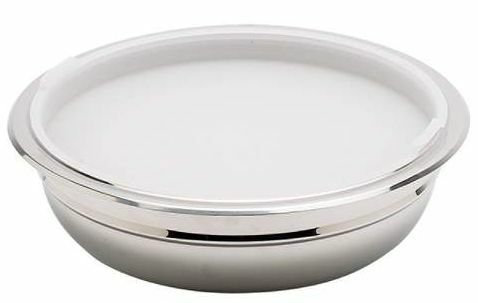 This means that the surface of this set is free of tiny pores, making it easier to clean, and a pore-free surface will not allow bacteria to grow the way it does in normal cookware. Unlike the other waterless sets, the knobs on the HLJKT28 are covered by the manufacturer's *Limited Lifetime Warranty. As one of our newer sets, this set also has the unique Thermo-Precision knobs. The gauges are built into the knobs on each lid to help regulate the cooking temperature. 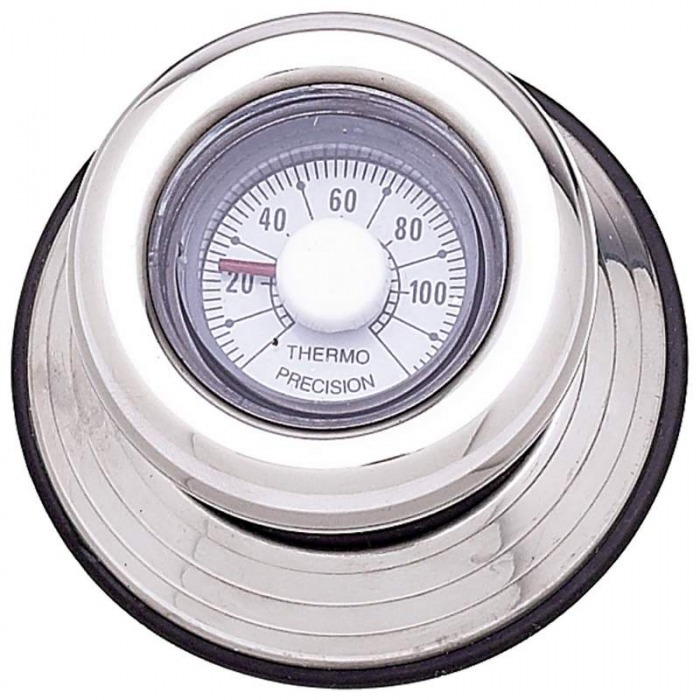 This means that a simple glance at the thermometer will tell you immediately if your food is cooking as it should be. It's very simple to read the thermometer and instructions come with every set. If you should happen to be away from your stove when the gauge reads that it is time to turn the heat down, no worries, you would hear the lid on the pot clinking a bit, and you would hear the steam escaping from around the lid just as you would with the steam-release valve knob. 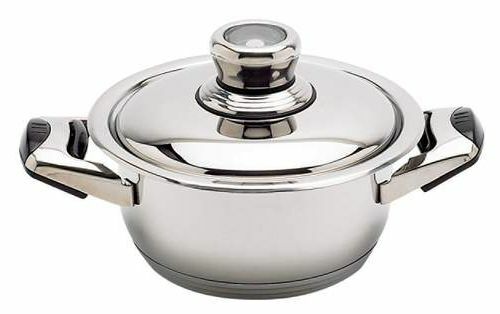 Lid fits in-between handle and pot. No more finding a place to lay your lids down. Just lift and stir or keep it up until your done cooking. This set of waterless cookware is constructed so that you can easily stack cook using either the two-high method or the three-high method. 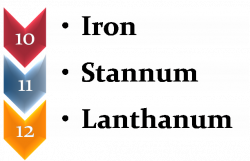 When you're stack cooking with any set of cookware, remember to always start cooking each individual pan on a burner and then stack the pots to finish cooking. The heat is transferred from the bottom pan to the top. 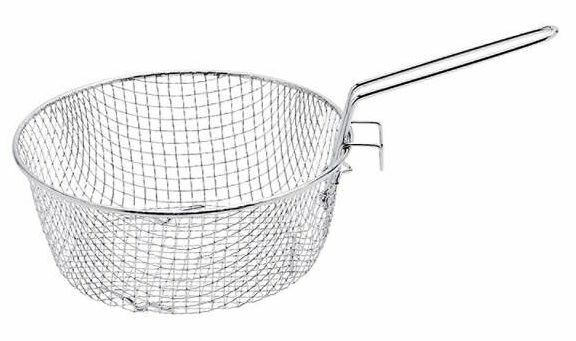 The surgical stainless steel mixing and storage bowls may be used as either double boilers (which fit into the stockpots) or dome lids which will fit onto the top of the stockpots. Placing the suction knob (see below) on the dome lid will allow easy removal. 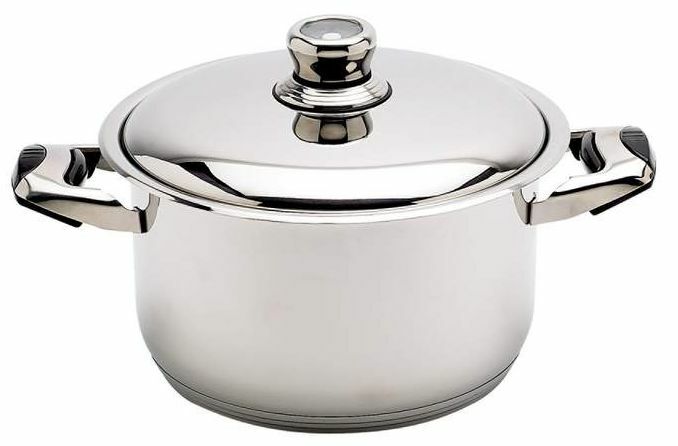 Placing a bowl upside down in this manner on top of the stockpots as a lid will actually lengthen the height of a stockpot allowing more room inside for larger cuts of meat, such as a large ham or roast. Of course, you can bake all of your meats on top of your stove with waterless cookware and avoid the higher cost of using your oven and causing the temperature of your kitchen to rise up in the summer months. 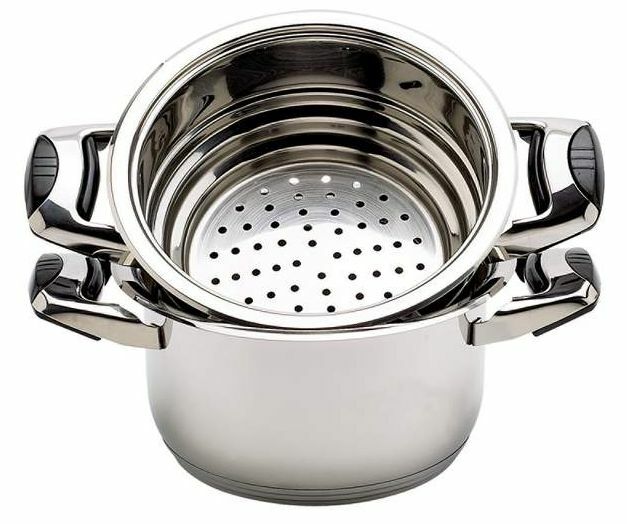 The steamer insert has a perforated bottom and fits into another pot. 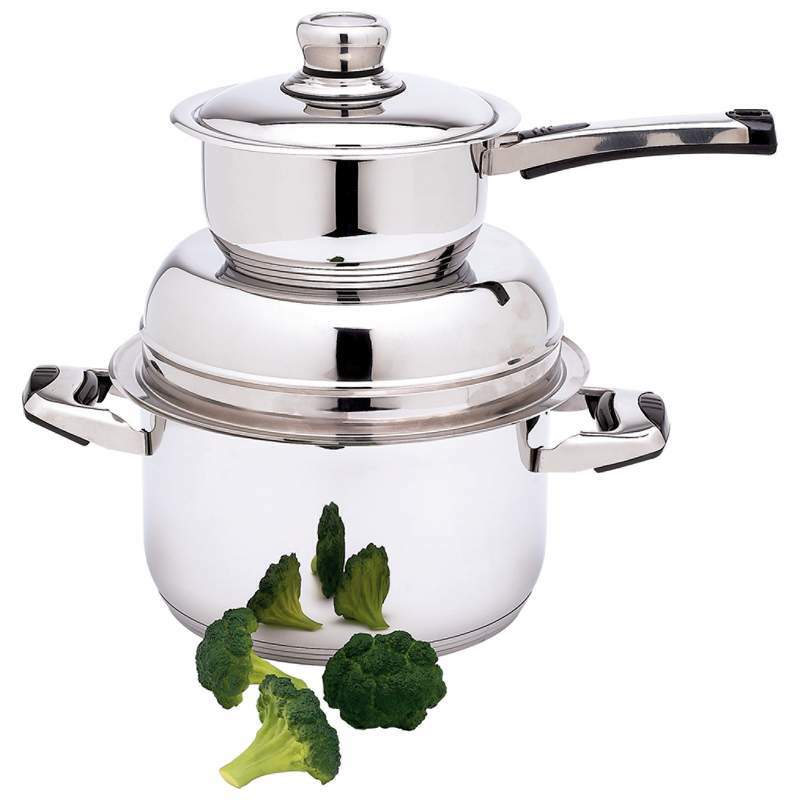 Water is placed in the bottom pot and the steam rises through the holes in the steamer allowing it to steam-cook your vegetables which are in the steamer insert. 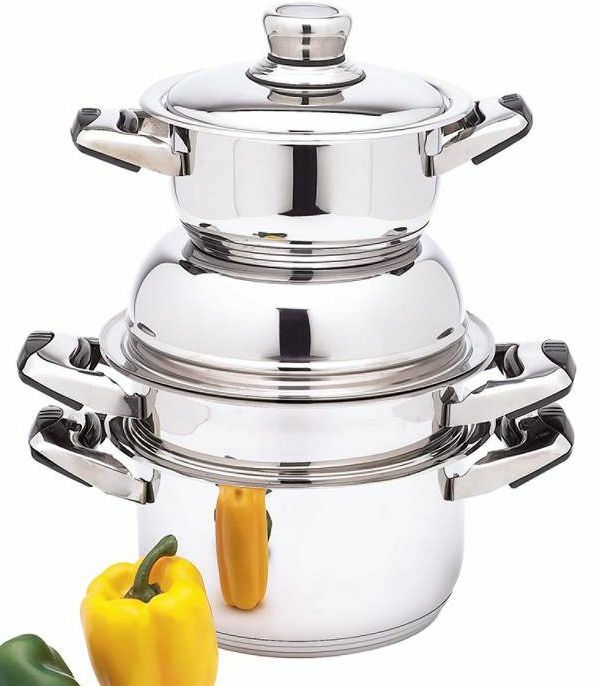 Like all of the other pieces in this set, the steamer is constructed of surgical stainless steel. 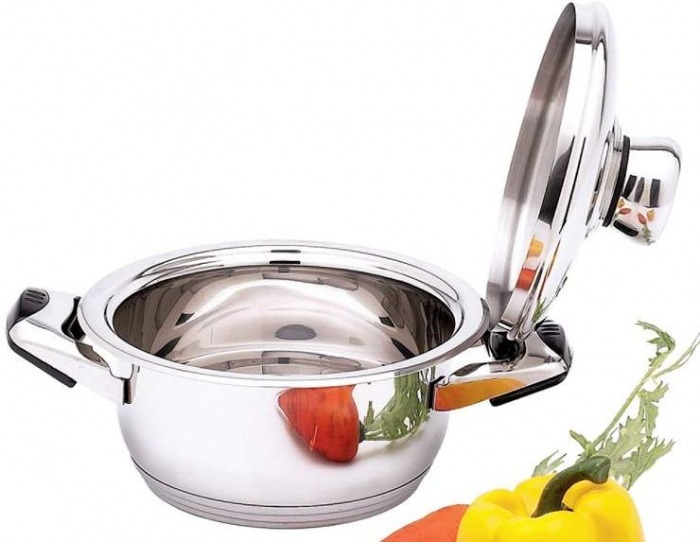 You'll always cook healthier with this set of waterless cookware, no matter what you're cooking or how, because the 304 surgical stainless steel inside and out is much healthier than other materials, plus, it eliminates the need for both grease and oil in cooking. 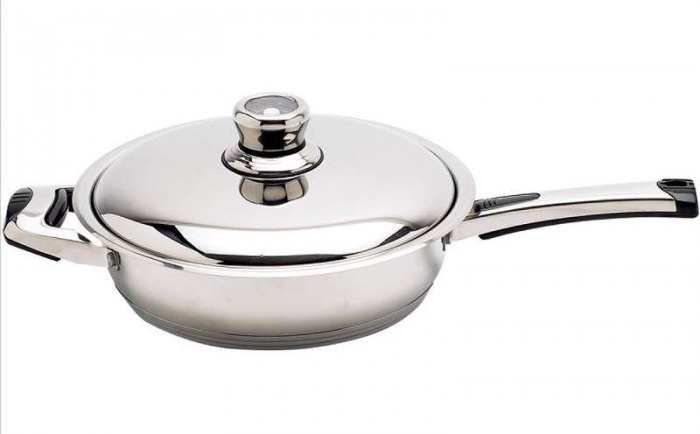 By using surgical stainless steel cookware you would never worry about what is going into the bodies of your family, and possibly harming their health. 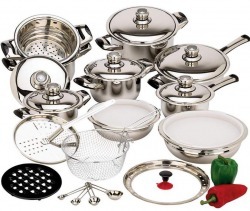 Cooking with any waterless cookware is done under pressure with economical low heat. Just as the insulation in your house does its job, this cookware saves a lot of money over the years on energy. 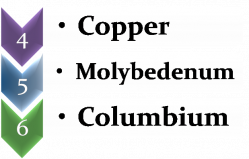 58% Mineral Retention when boiling in water. 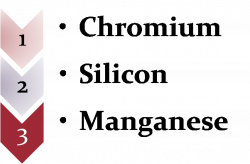 You lose 42% of the minerals. 98% Mineral Retention with the waterless cooking method. 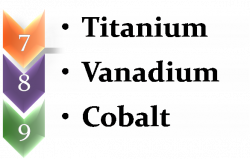 You lose ONLY 2% of the minerals. Research on the aging process by the US Department of Agriculture Human Nutrition Research Center on Aging suggests that maximizing the nutritional quality of your diet may slow down or prevent age-related problems that many people think of as inevitable. The studies recommend cooking foods for a shorter time and in as little water as possible. This set is suitable for ceramic, electric, and gas stoves.